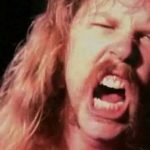 A “writing in progress” verson of METALLICA’s “The Shortest Straw”, recorded in December 1987 in drummer Lars Ulrich’s garage in El Cerrito, California can be heard below. 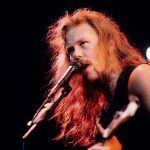 The track will be included on the 30th-anniversary reissue of METALLICA’s breakthrough fourth album “…And Justice For All”, due on November 2 via the band’s own Blackened Recordings. The Expanded Edition will include previously unreleased demos, rough mixes, previously unreleased live tracks, and an expanded booklet of never-before-seen Ross Halfin photos. The one-pressing-only Limited Edition Deluxe Box Set will include the remastered double 180g LP, a “One” picture disc, 3 LPs featuring their iconic performance from Seattle in 1989 remixed by Greg Fidelman, 11 CDs, 4 DVDs, a set of four patches, a Pushead print, a tour laminate, lyric sheets, a download card for all material in the set, and a deluxe 120-page book with never-before-seen photos and never-before-told stories from the people who were there. 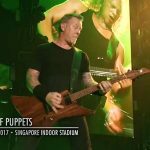 Watch METALLICA guitarist Kirk Hammett unbox the reissue below. “…And Justice For All” was originally released — despite what the Internet might tell you — on September 7, 1988, on Elektra Records. 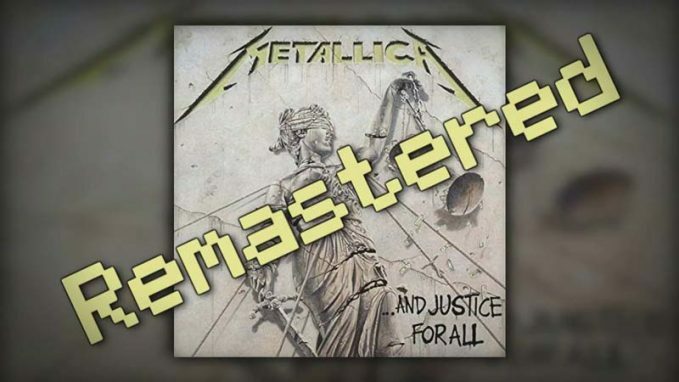 While “…And Justice For All” is considered one of METALLICA’s classics, it has been criticized almost since the day it was released in 1988 for the lack of any bass guitar on the record. Jason Newsted’s playing is virtually buried in the mix — and many fans feel that drummer Lars Ulrich, who had very specific ideas for how he wanted his drums to sound, is to blame. “…And Justice For All” was Jason Newsted’s first full-length album with METALLICA after he replaced late bassist Cliff Burton in 1986. The album was the first by the band to sell more than a million copies and featured their first radio hit, “One”, which was also the basis of the group’s first music video. The record was nominated for the first-ever Grammy for “Best Hard Rock/Metal Performance”, but infamously lost to JETHRO TULL’s “Crest Of A Knave”. In a 2015 interview with Ultimate-Guitar.com, one of the “…And Justice For All” album mixers, Steve Thompson, revealed that Ulrich was the culprit for the lack of any bass guitar on the record. Ulrich apparently wanted his drums to sound a certain way — even if it meant cutting out the bass.